I was asked to try this out for my blog, but once I realised what it was used for, I passed it straight on to my partner. He's almost used up the entire tube already, which goes to show how much he's liked it. This is his been his go-to for a while now, as it's incredibly lightweight, absorbs well, and most importantly, keeps the itching at bay. My partner also uses this one a daily basis whenever his hands are feeling incredibly dry. 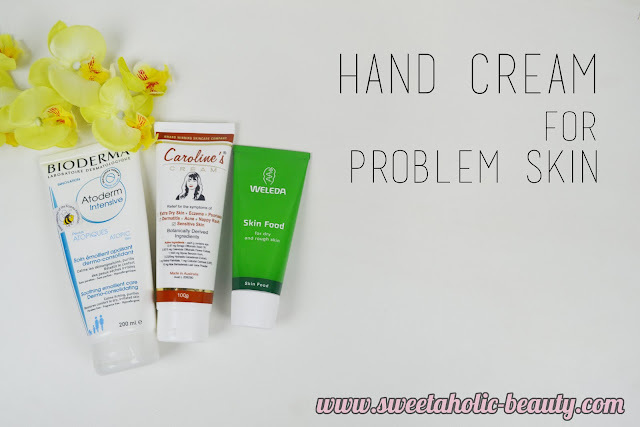 This one really helps to restore moisture and keeps his hands from cracking and bleeding due to dryness. While sadly it doesn't do a lot for the itching, it still helps with the dryness levels. This one has become his favourite in the past couple of weeks, so I had to include it. This one takes a bit longer to actually absorb as it feels a bit oilier, but it's worth it in the end. This one actually keeps his hands feeling comfortable for longer, which means he's not applying creams as often - which is a huge plus. 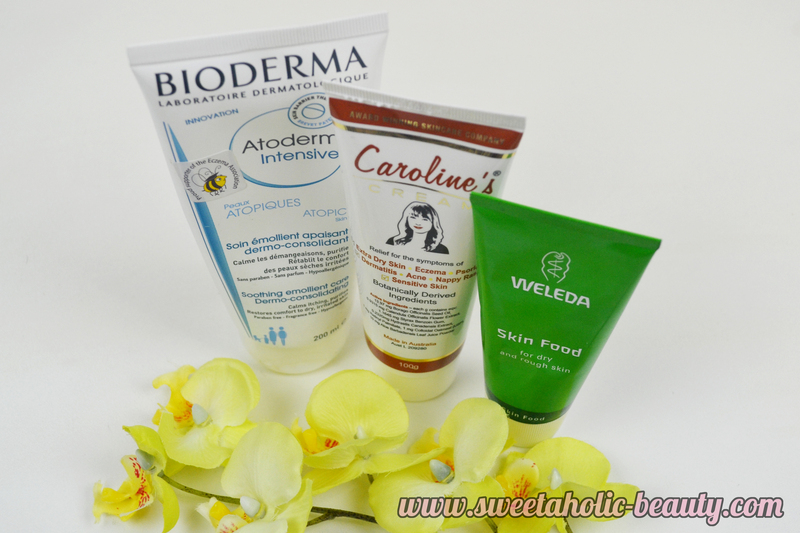 As you can see, the Bioderma is really lightweight; as is Caroline's. 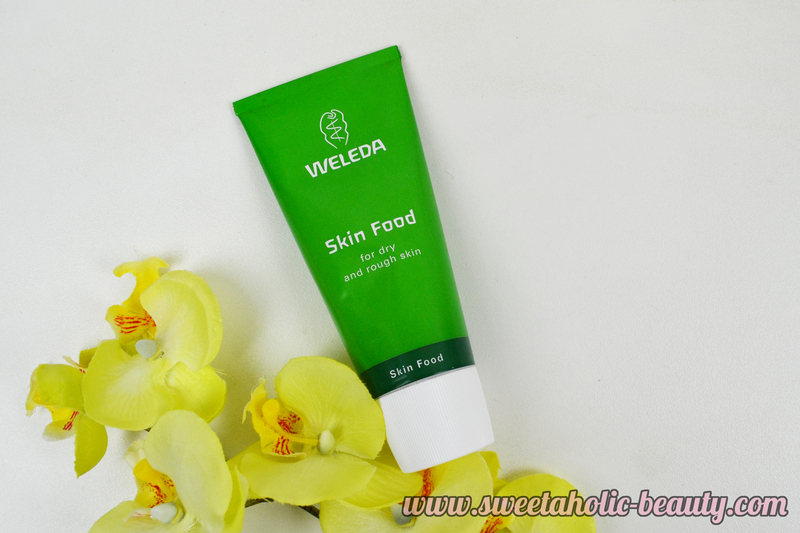 The Weleda is much thicker and, as you can see, oilier in texture. All creams are fairly non-scented, which is great if you are using these multiple times a day for dryness or eczema, as the last thing my partner wants is to smell like roses all day long. Sadly, these creams may not cure your problem skin entirely, but they certainly may help. Everyone's skin is different, which is why some things will work and some won't. These products have proved successful for my partner, which is excellent considering dermatology-prescribed creams did nothing. 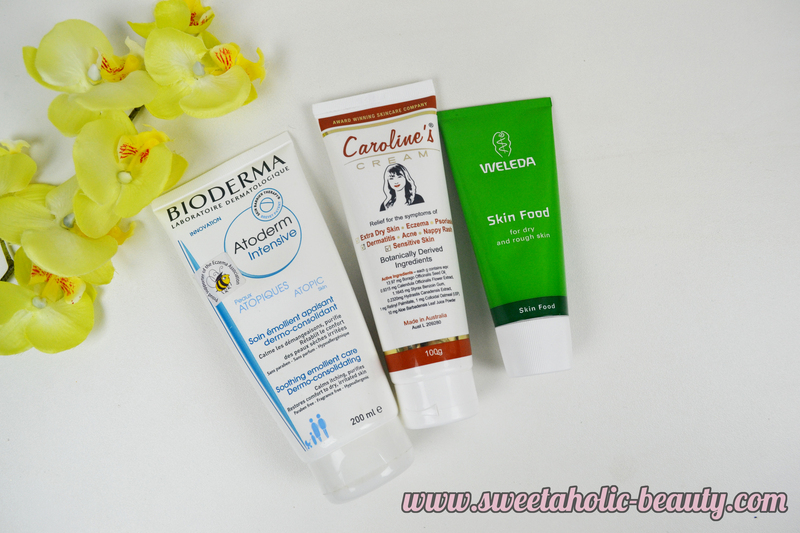 If you have problem skin, definitely consult a doctor or dermatologist first - but if you're suffering from dry skin, or itchy skin these products may just help. Have you suffered from ezcema before? If so, what's your story? Do you have any solutions that have worked for you? 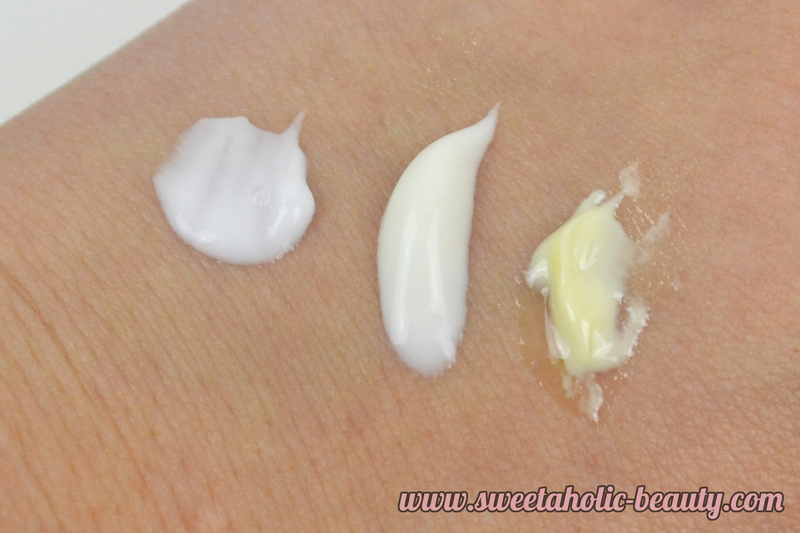 Have you tried the above products - if so, what are your thoughts? 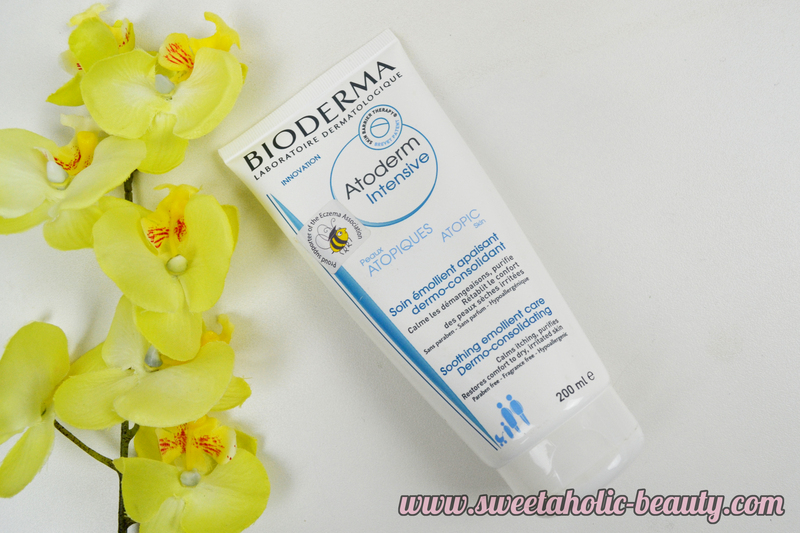 I've suffered from eczema on & off since childhood - it tends to come & go with me. Unfortunately it's not a curable condition, which is frustrating; but I have found that keeping yourself well moisturised + avoiding any triggers does help. I've got a sample of Skin Food from the DJ's beauty tote bag, I did put a bit of it on my feet but found it wasn't all that great. I'll have to give it a proper go though before I make up my mind. I used to have mild eczema on my eyelids in high school (such an unfortunate place to get it!). Nothing seemed to work for me and then oddly enough basic sorbelene worked, it healed everything up and now it rarely comes back. I'm just glad my 'cure' was so darn cheap!